Chris Clayton lives in South East Queensland Australia, where he and his wife Maree operate their Remedial Therapy Clinic in the regional City of Toowoomba. 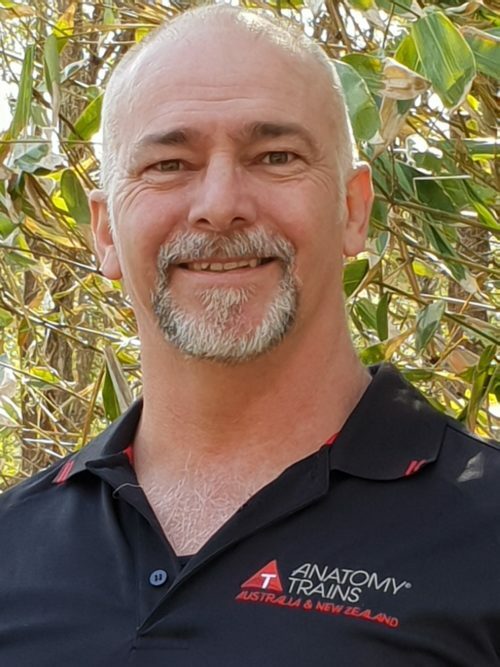 Chris is a certified Anatomy Trains Structural Integrator and a movement therapist where he implements Anatomy Trains in Training concepts as the backbone of his movement therapy strategy. Chris’ first love was and still is the martial arts, where he teaches for free and strives to be a perpetual student, a journey that has spanned 37 years or more so far. It was in his early years of training, where he saw his martial arts instructor successfully treat fellow students when they presented at class with basic injuries. Chris was immediately profoundly interested in what he saw, when he asked his teacher what he could do to follow the healers path, his teacher pointed him to anatomy, Chris has been following that advice ever since. Chris has been in the coaching/training industry for over 35 years and holds Diplomas in Sport Development, Sport Coaching and Fitness. Since 2007, Chris has taught Sport Coaching and Fitness qualifications for the Australian College of Sport Development and YMCA Brisbane as an industry partner. Over time, it became ever more apparent, that the best way to improve an athlete or client was to be able improve them where they were most vulnerable. This led Chris to continue his learning and integrate manual therapy into his work, eventually resulting in Chris becoming an ATSI practitioner. Chris has toured with AP Lindberg of Anatomy Trains in Training a number of times in Australia and more recently to Taiwan in June/July 2018, with this being the first time that Anatomy Trains in Training had been taught in Asia. Like most therapists, Chris just likes to help people feel better and most days he will be found happily working with his clients at his clinic.